In the doors the original factory color came out – a for that time highly popular “Oro Antico Metallizzato” or metallic gold. The owner and I quickly decided it was not going back to factory color. 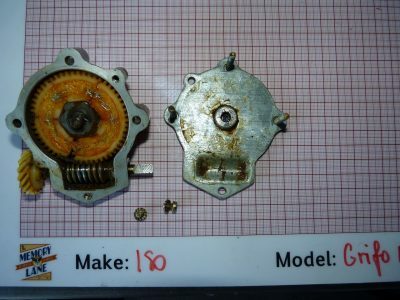 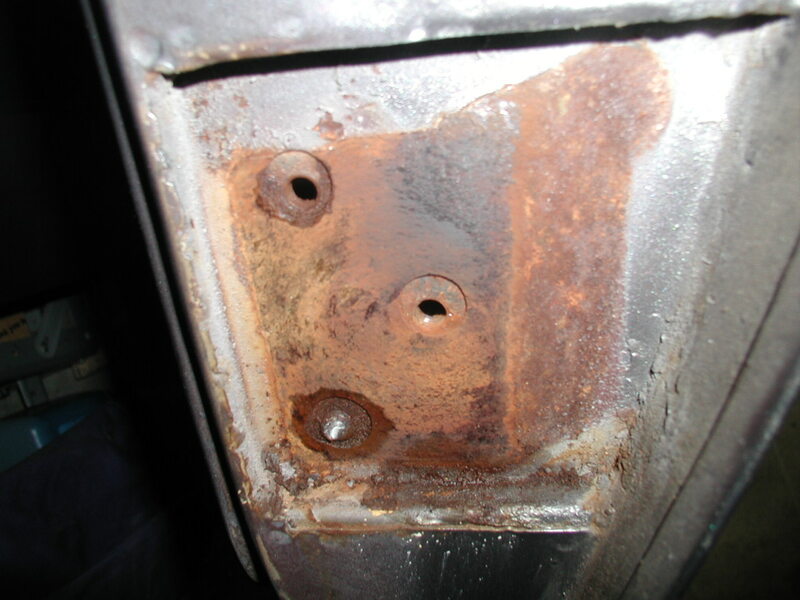 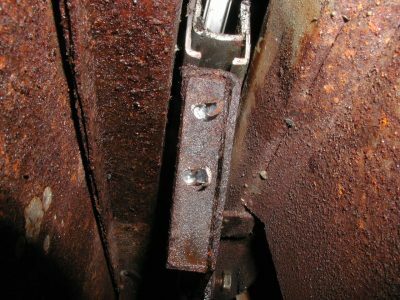 😎 A look inside the doors showed where the external rust bubbles came from – it became clear there was more rust waiting for me. The factory put a tar like coating on the blank sheet metal, however it soon cracked and gave water plenty of opportunities to attack. 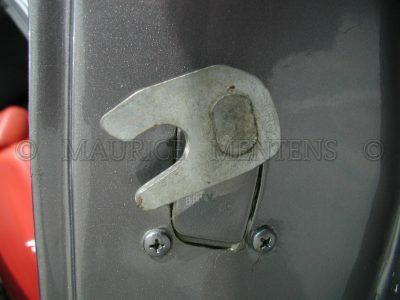 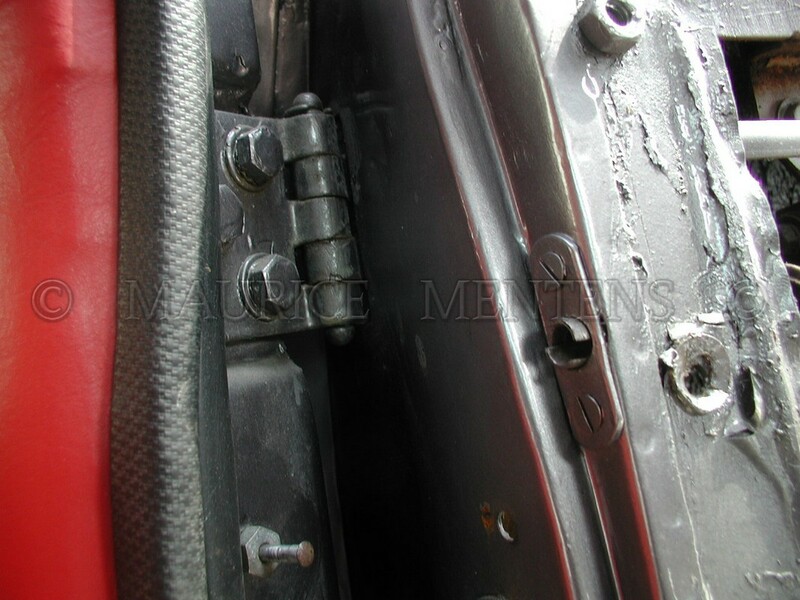 This is the main reason why most of these S4/Fidias are rusted out and need (very) extensive sheet metal work. 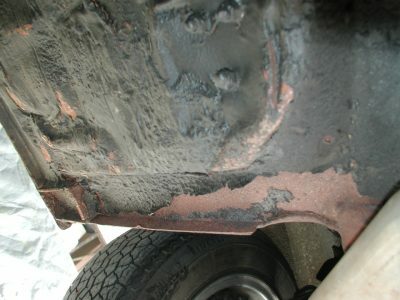 Luckily this one is not as bad as most. 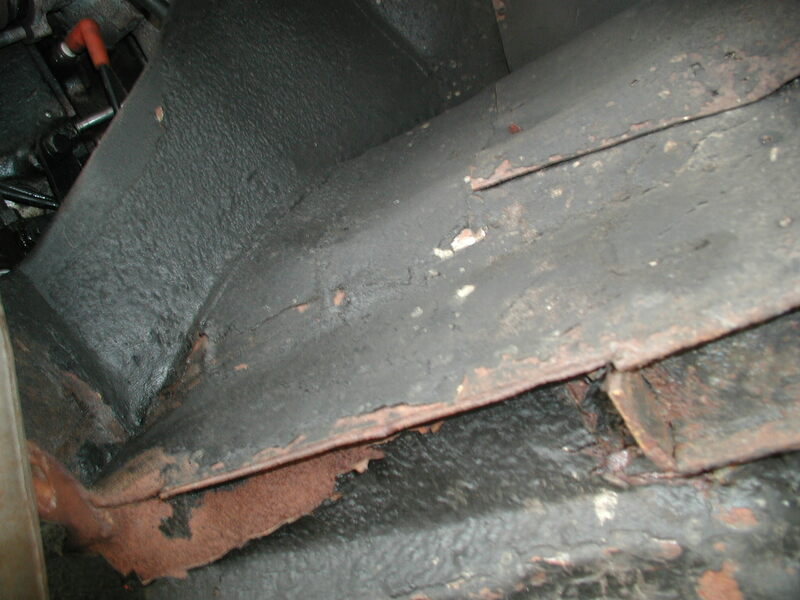 Obviously the floors got saved by the dry climate this car was used in. 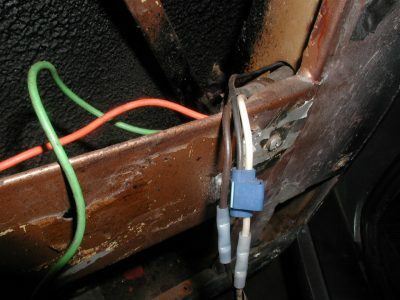 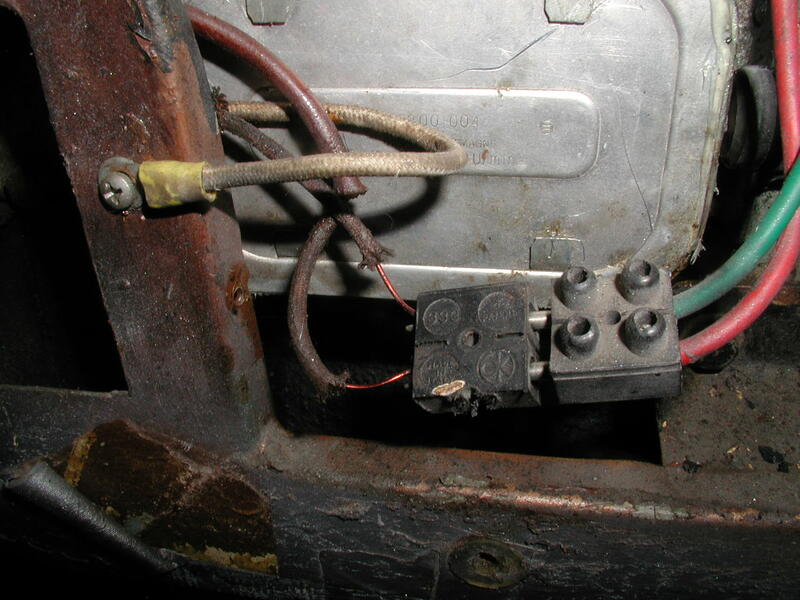 Further dangerous electrical “fixes”, lots of bondo gobs and Mickey Mouse “repairs” with silicone. 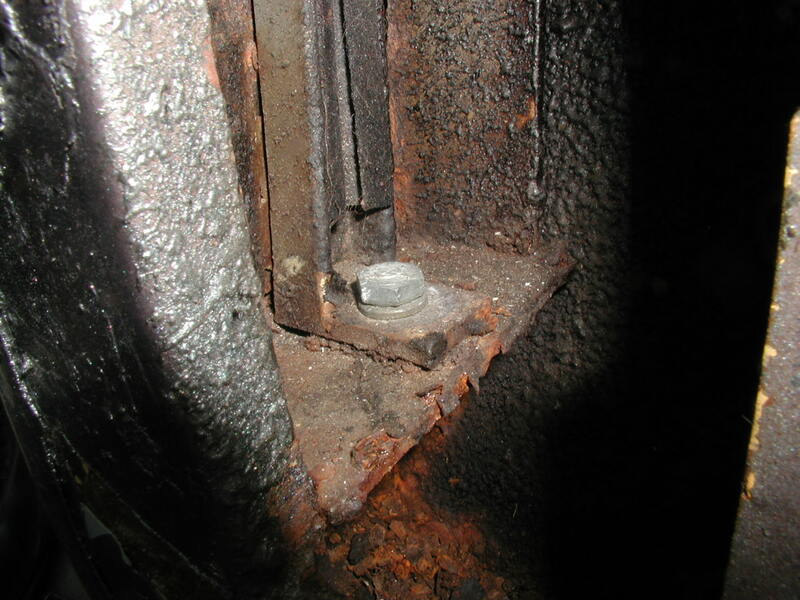 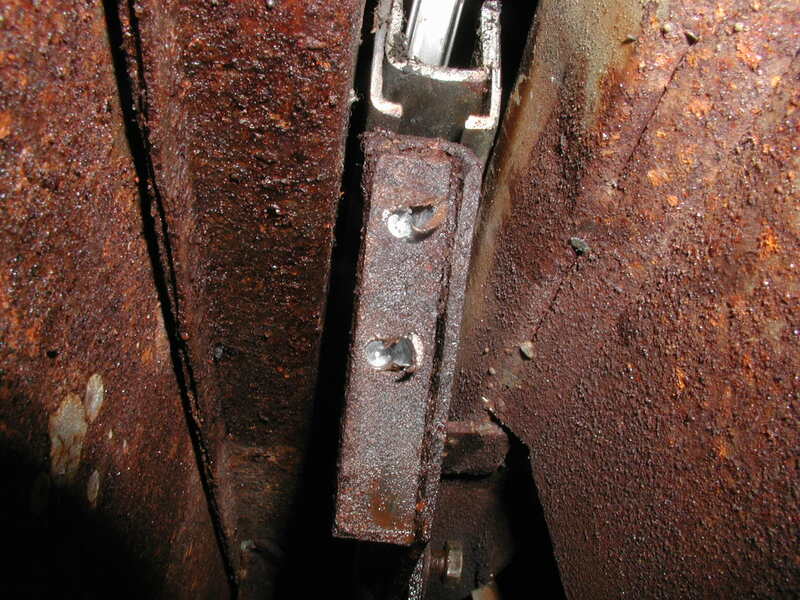 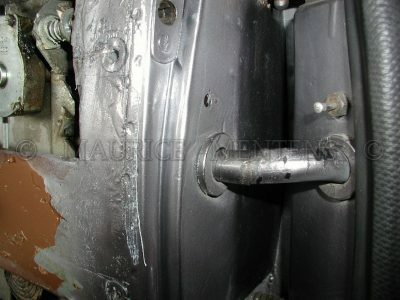 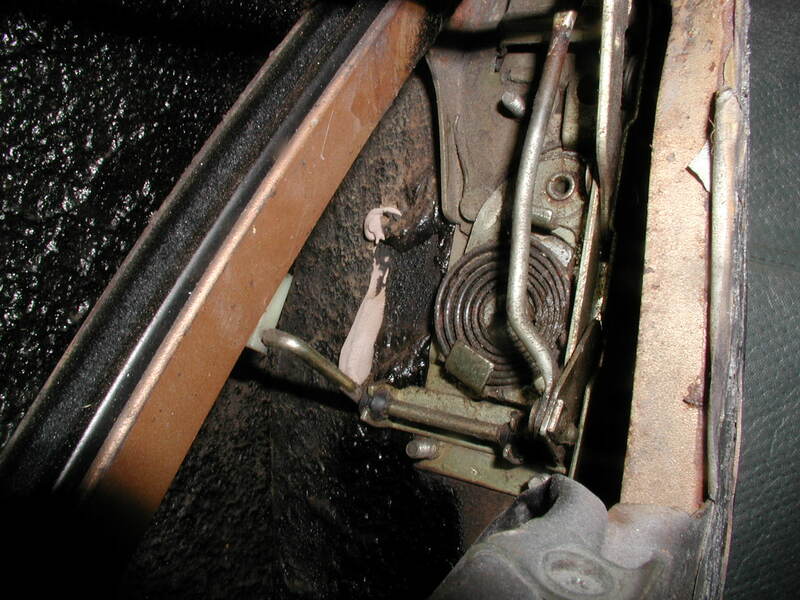 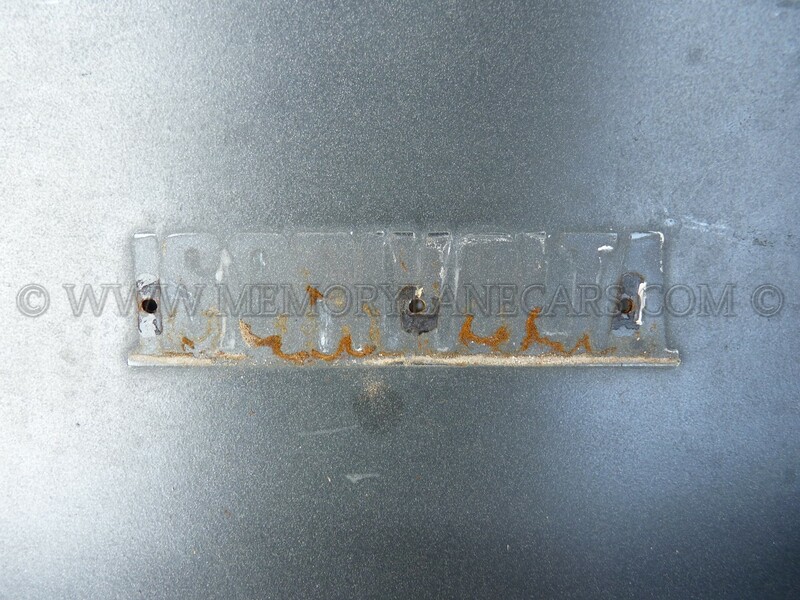 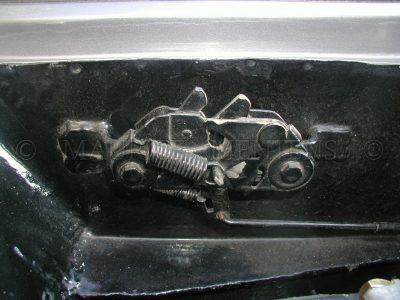 Many bolts inside the doors were rusted stuck and no WD40 or blow torch made them come out whole. 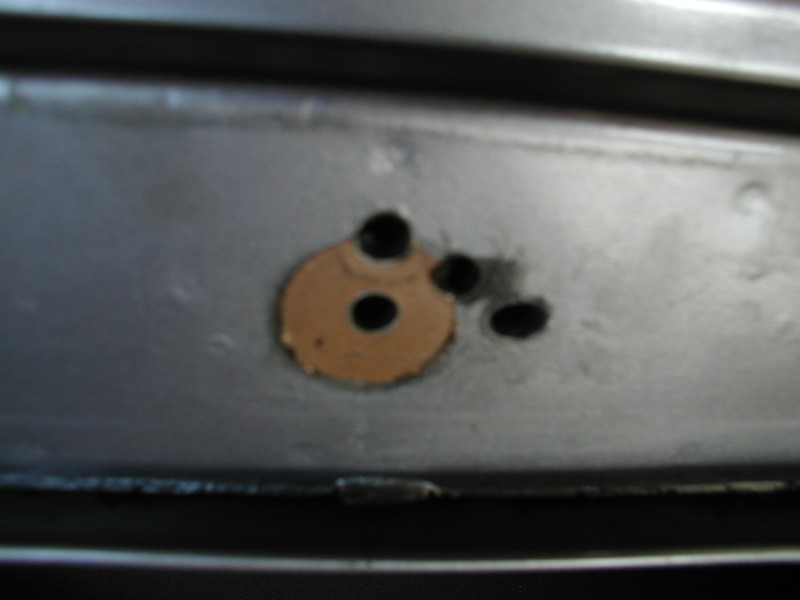 Interesting detail: these cars were painted with the door hinges installed, under them there was no more than a light coat of black primer. Of course this looks awful when the hinges come off. These cars were not meant to exist longer than 10 years, so in fact the ones surviving did very well. 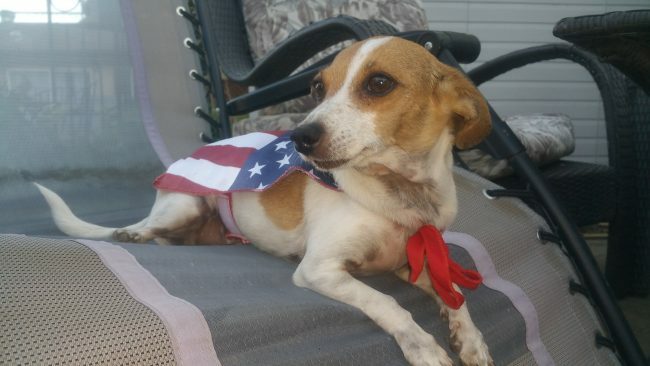 Ricky hopes everyone had a great 4th of July! Ricky taking a rare day off from the car world to celebrate 4th of July, Evel Knievel style. 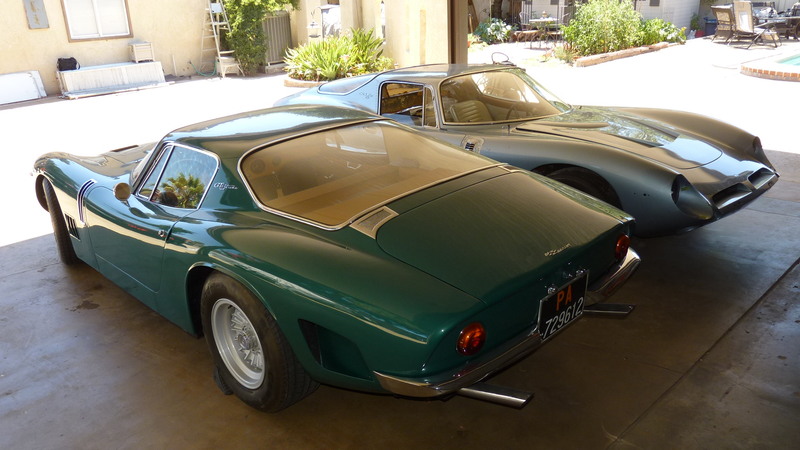 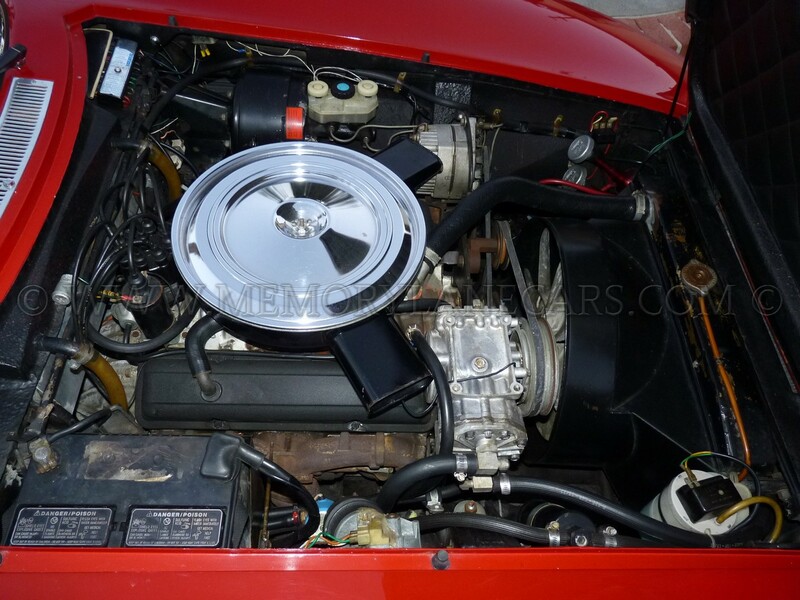 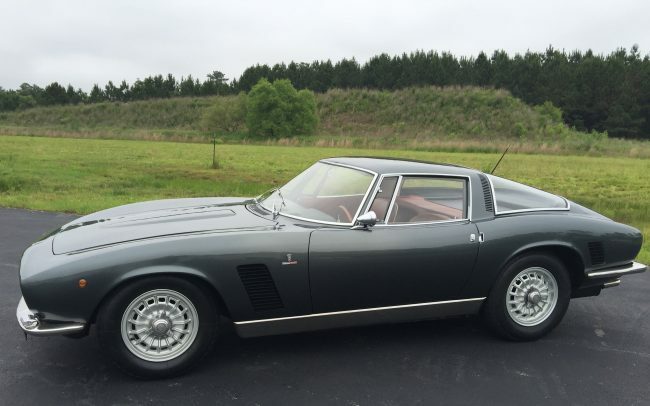 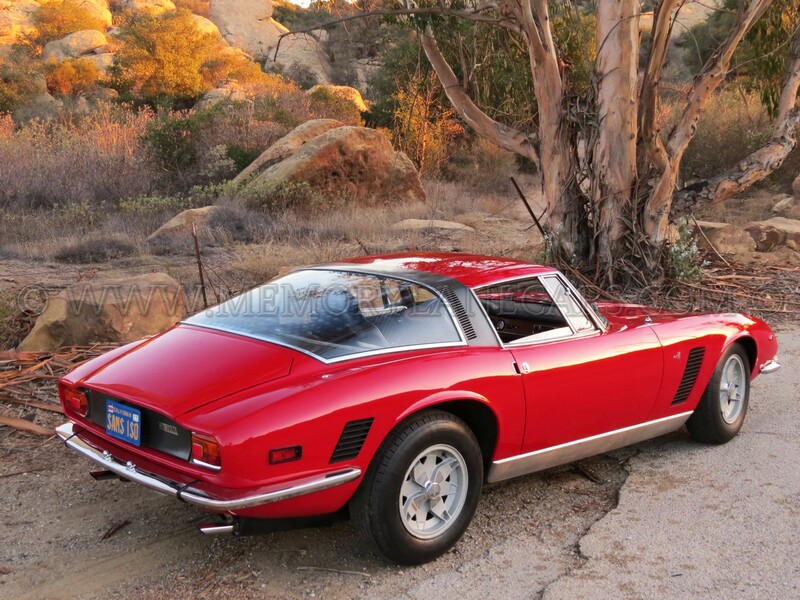 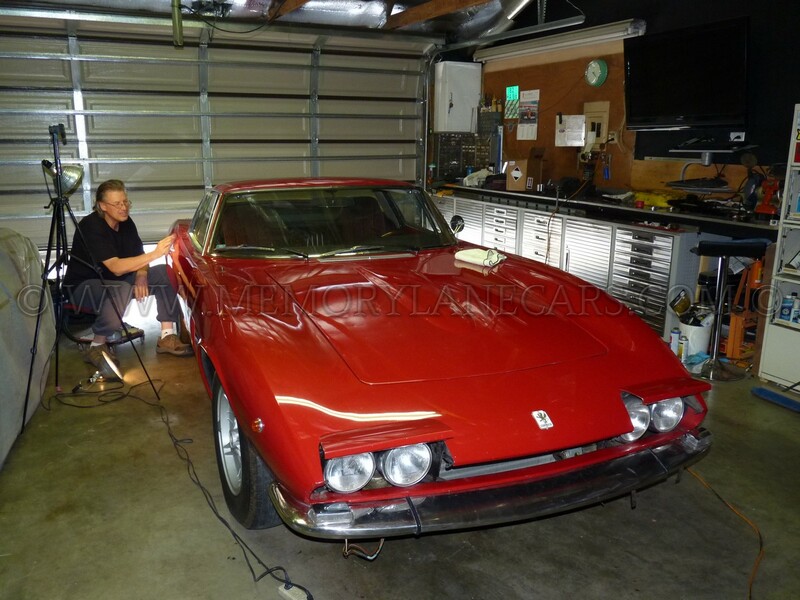 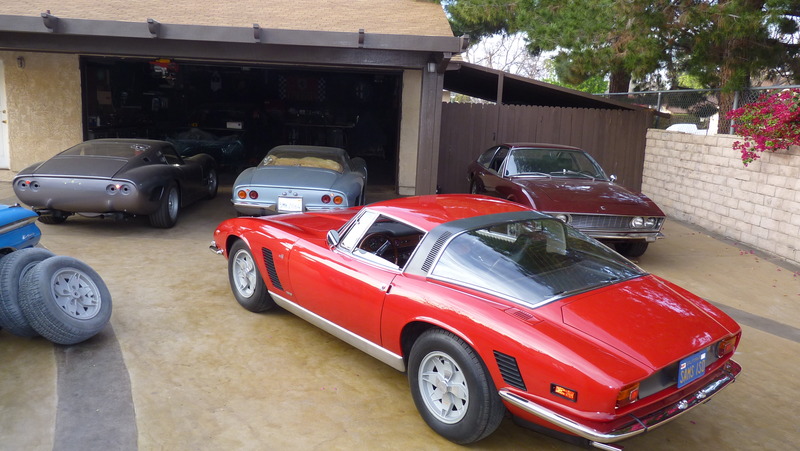 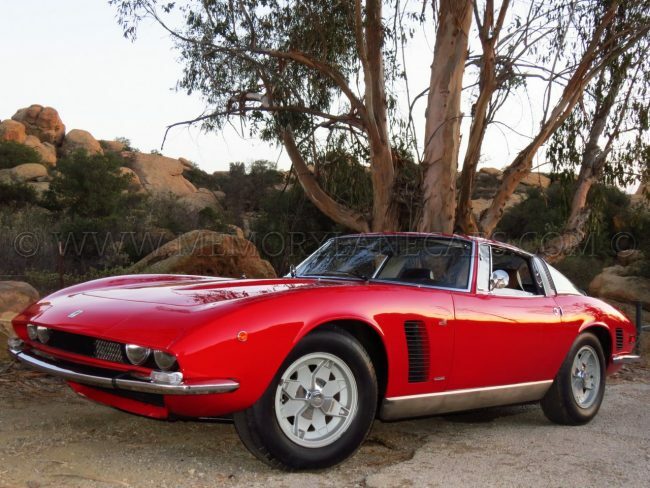 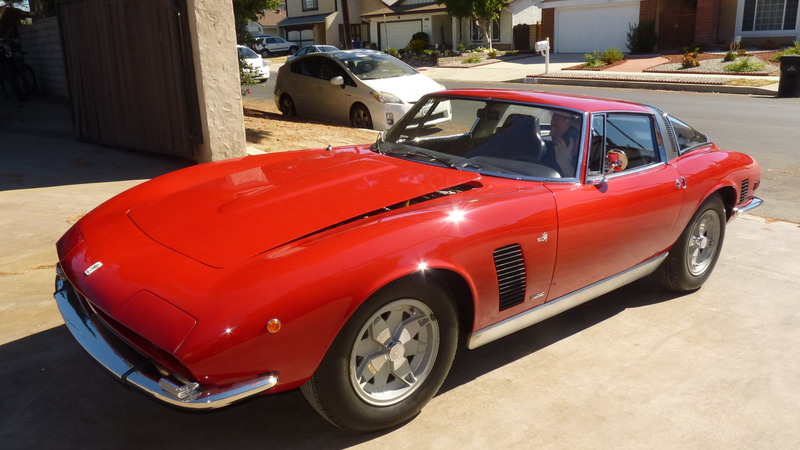 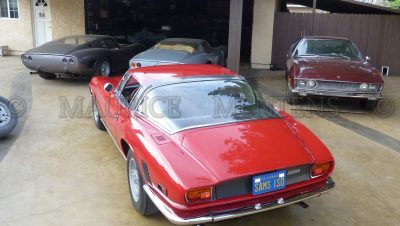 Exclusively for sale on my site and available immediately is this beautiful 1967 Iso Grifo GL300. 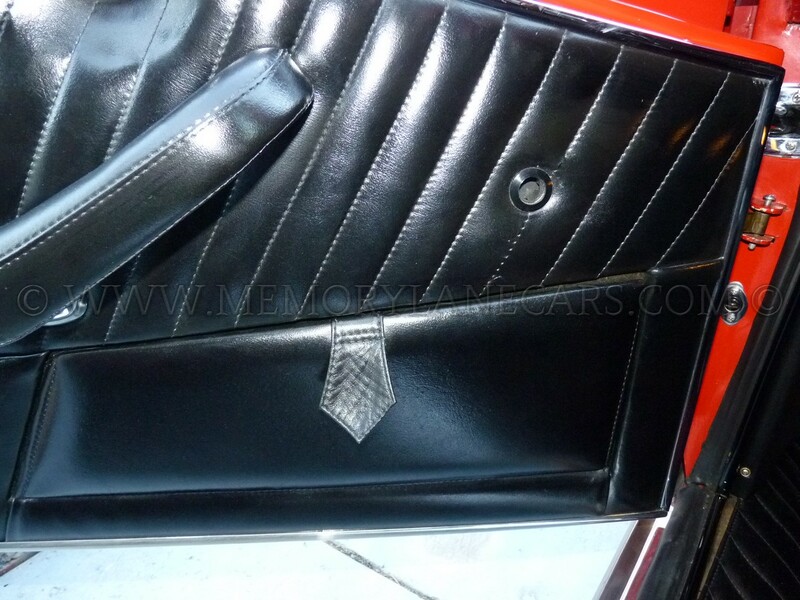 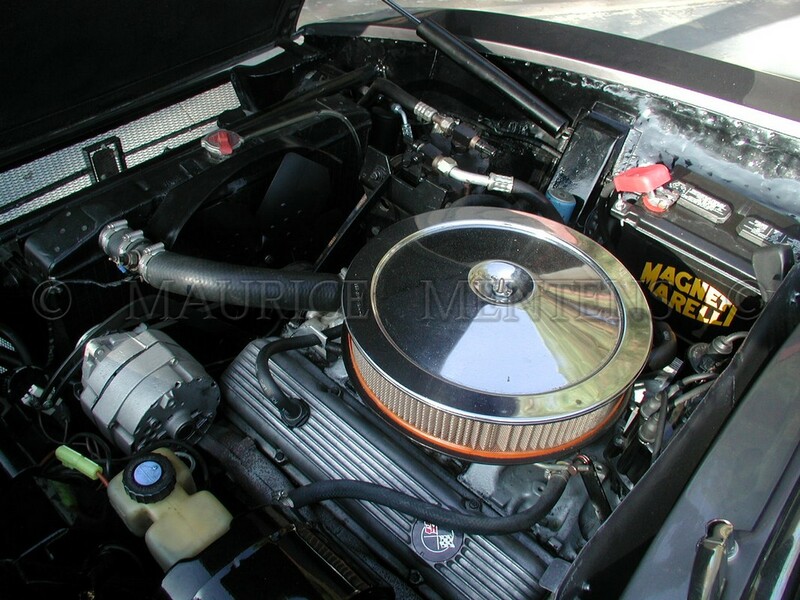 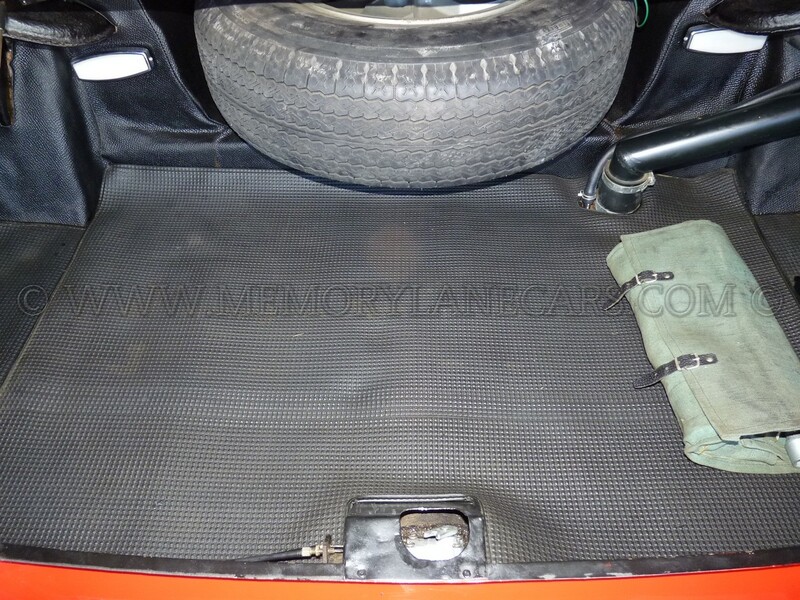 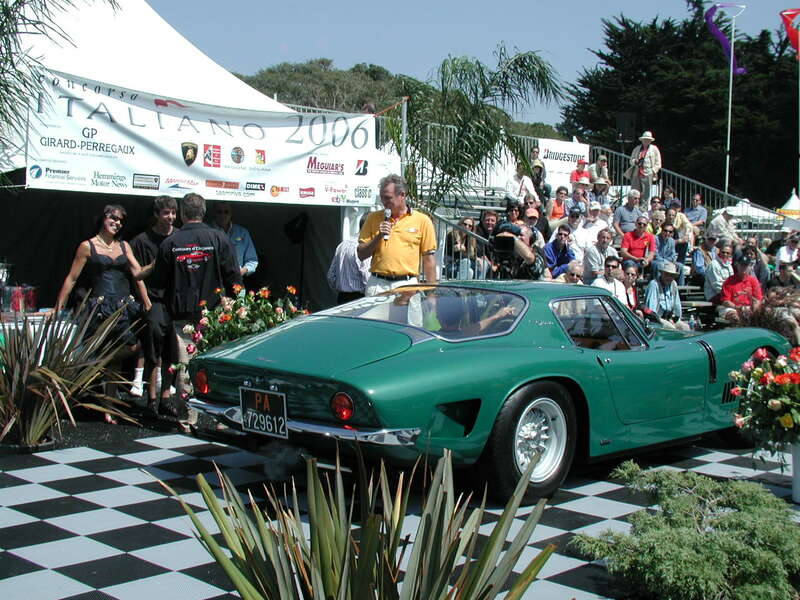 The car was the Paris Show Car in 1966 and was uniquely furbished for that event; it is fully documented from new on. 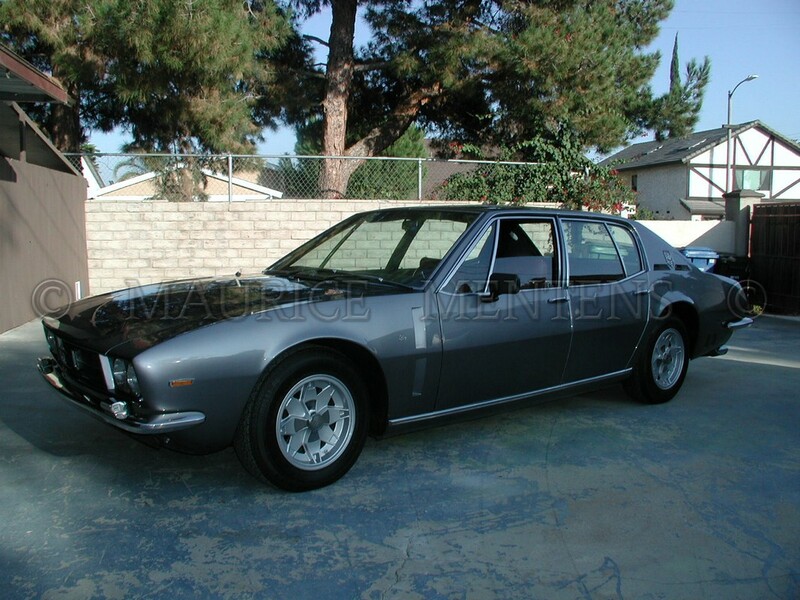 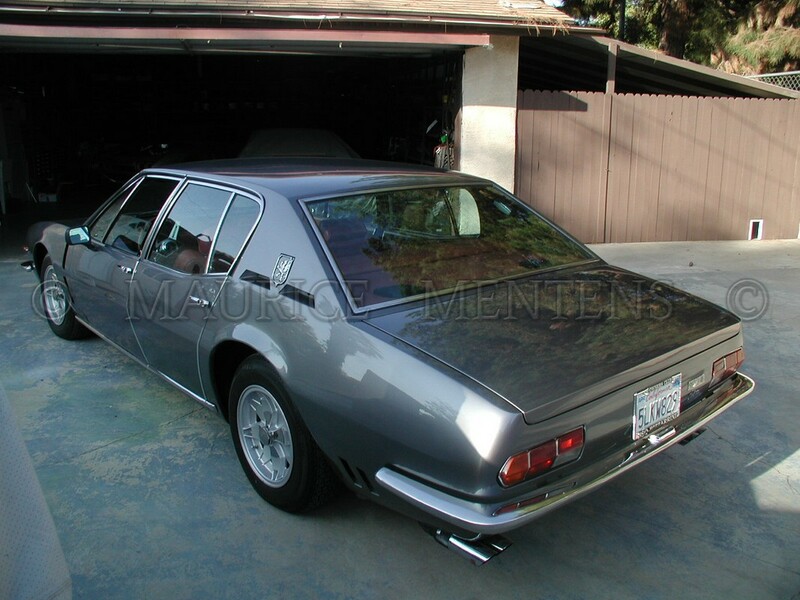 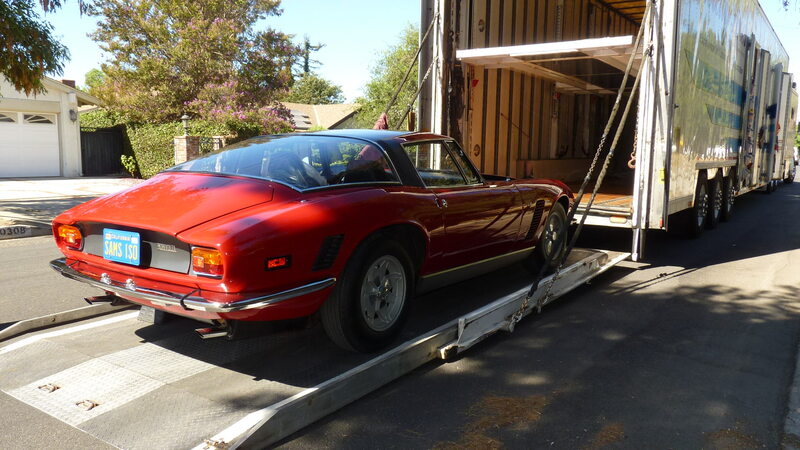 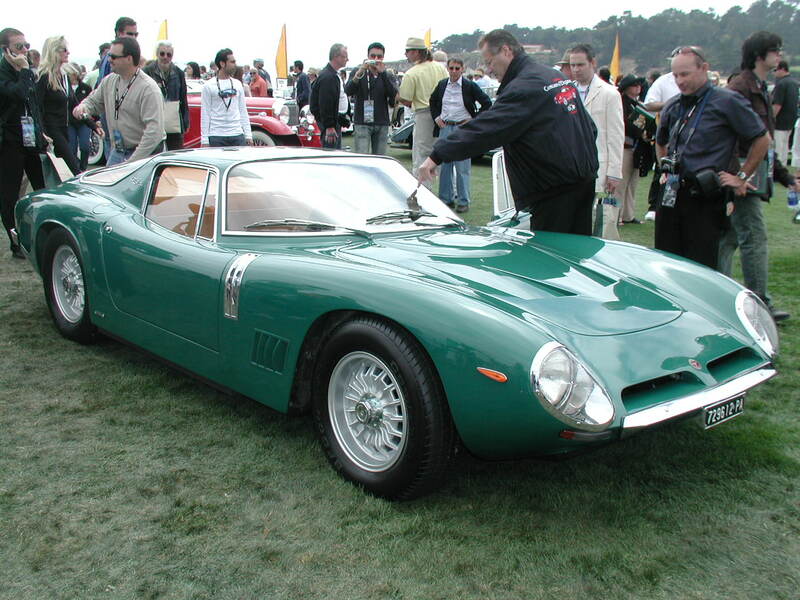 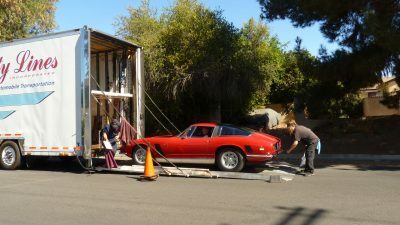 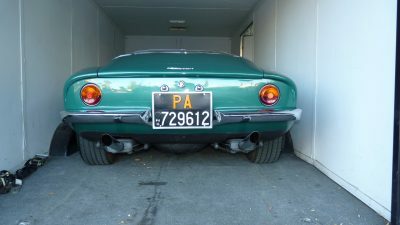 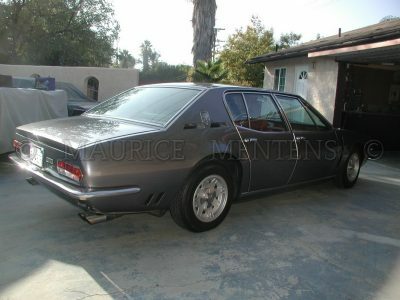 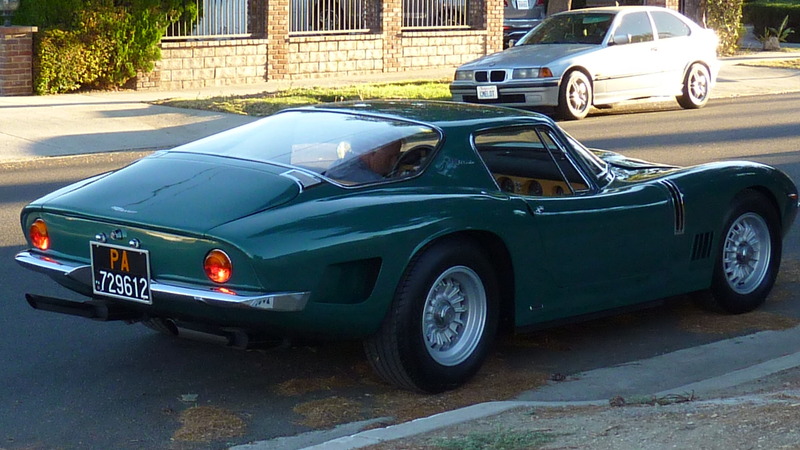 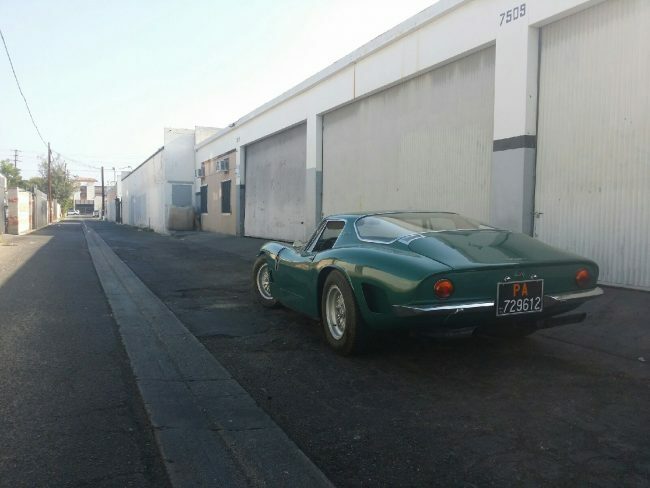 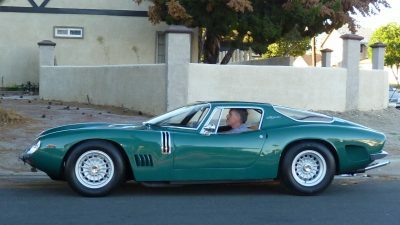 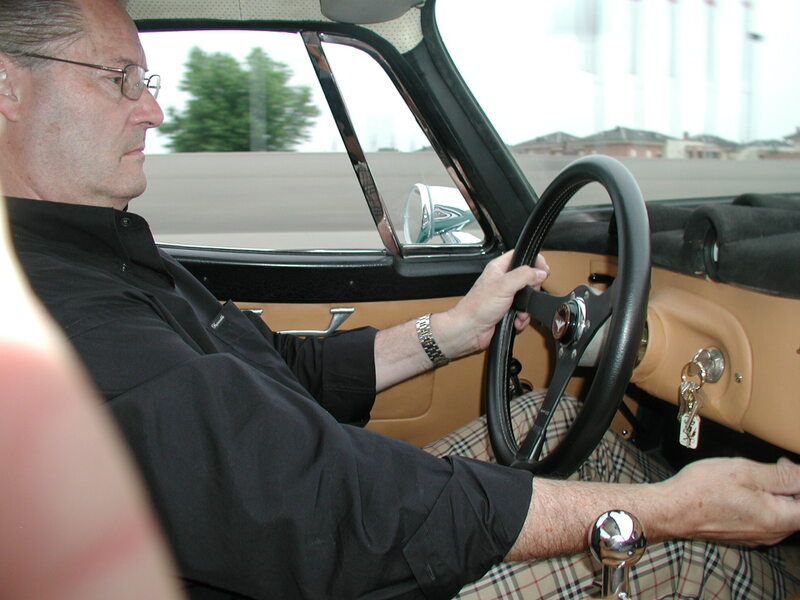 The paint color is unique to this car and most insiders agree this particular car was ordered by Mr. Nuccio Bertone himself – making it an Italian delivery Grifo. The car was afterwards in long term Dutch ownership where I saw it in person; a nicely kept and serviced original Grifo with proud ownership. 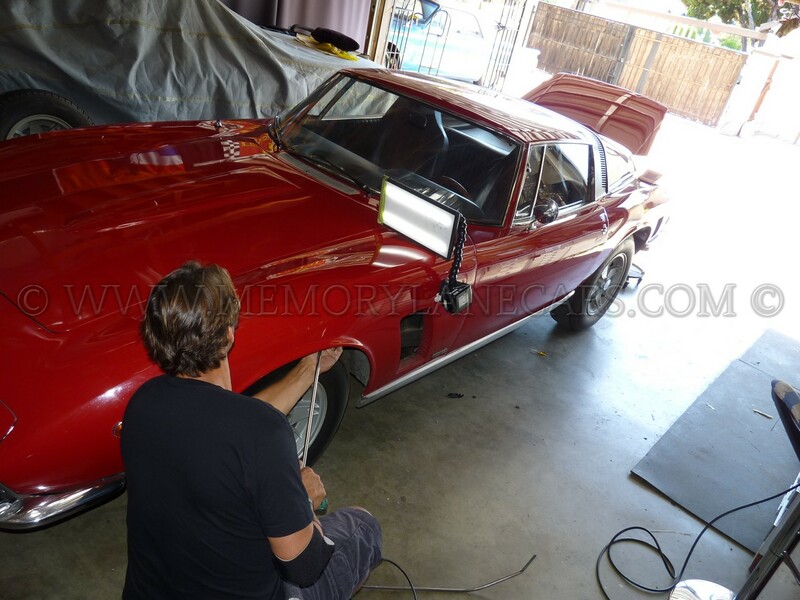 (M. Anderssen) The car is now in the US and has received a very nice repaint and detail work which brought back it’s old glory. 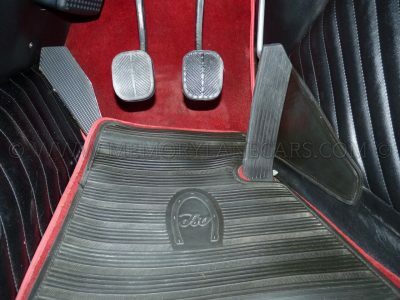 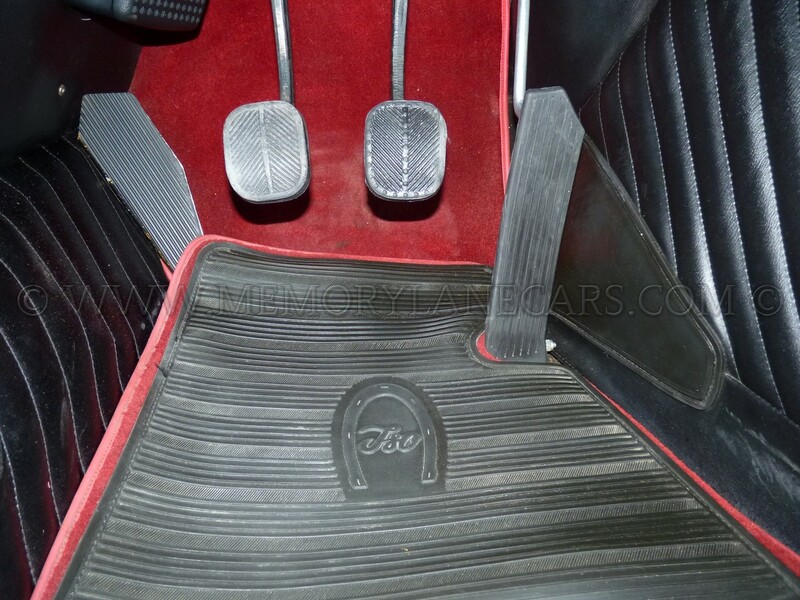 It is equipped with the high performance version of the 327 Corvette V8, coupled to a 4 speed manual transmission and 3.07 De Dion rear end. 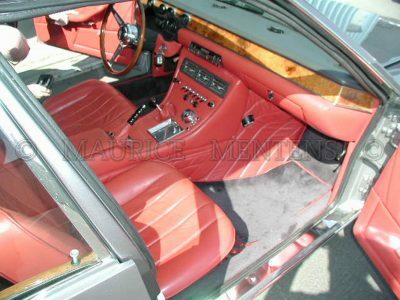 It is a very well handling and driving car and can be enjoyed right away. Many more pictures, just ask. 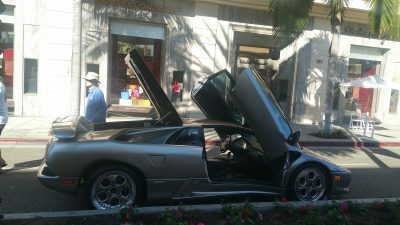 No disappointments on this one! USD 435,000.00. 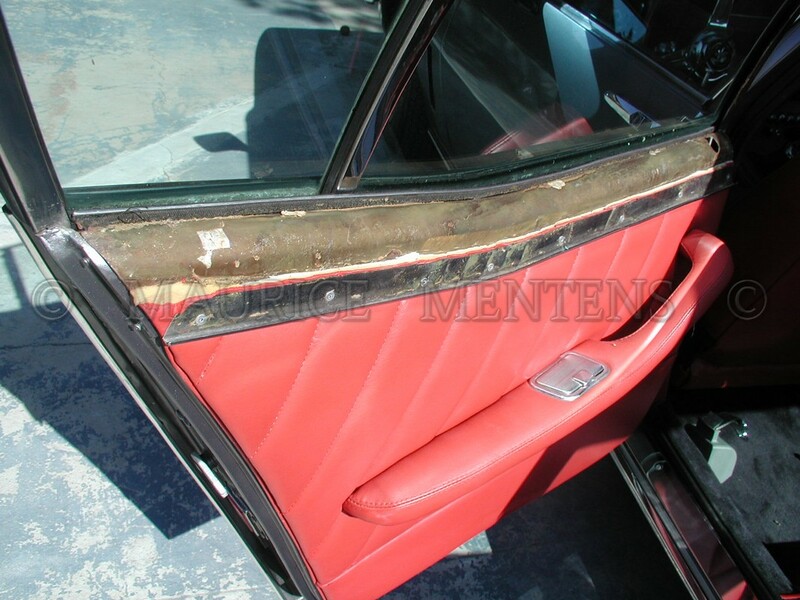 Starting with the outside bright-work to uncover what was under the paint we noticed soon the interior leather was heavily bleached by the sun – the areas which were covered were red and others were pumpkin colored. This told me they used furniture leather instead of bespoke car upholstery leather – an expensive mistake (or cost savings at the upholstery shop). 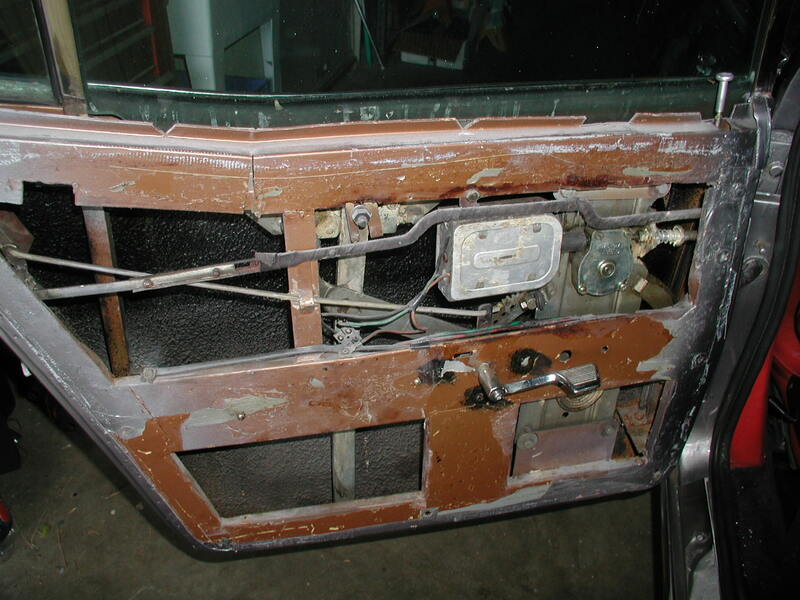 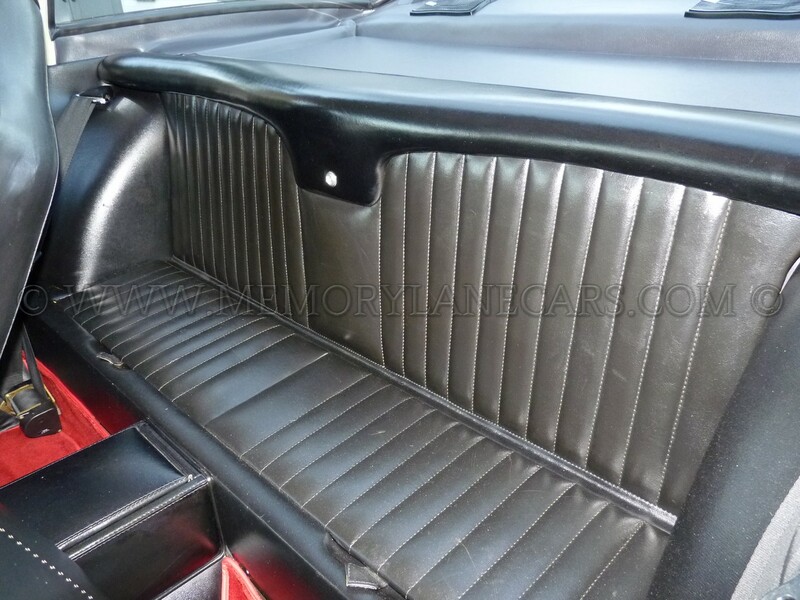 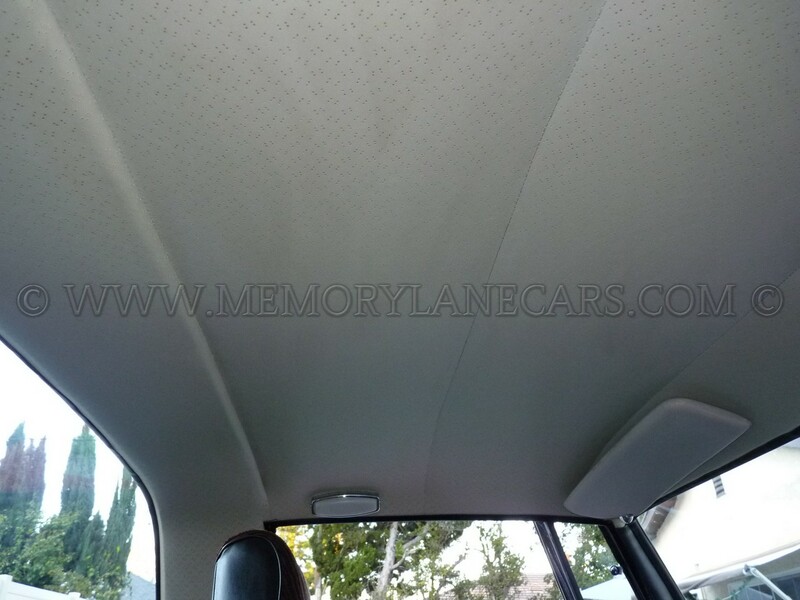 By taking off the door panels it became clearer the paint job on this car was very quick and cheap and many shortcuts had been taken to make it LOOK nice. 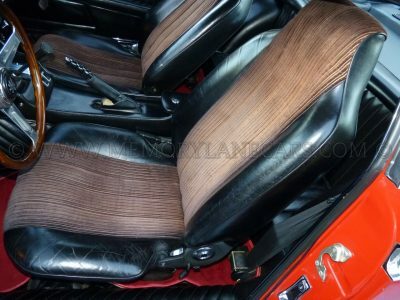 This also revealed its original color, a metallic gold which was popular in 1969 but not so much now… The paint the previous “body man” put on had a pink-purple hue to it, probably done to match the interior color better. 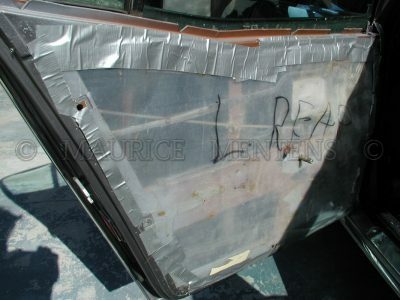 It’s also obvious no “difficult” parts were taken off, they just blew the new paint over everything. 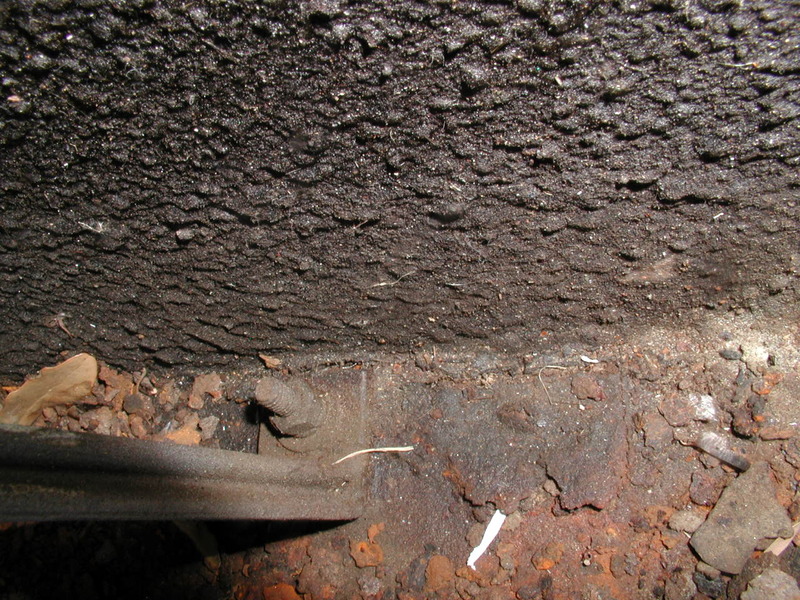 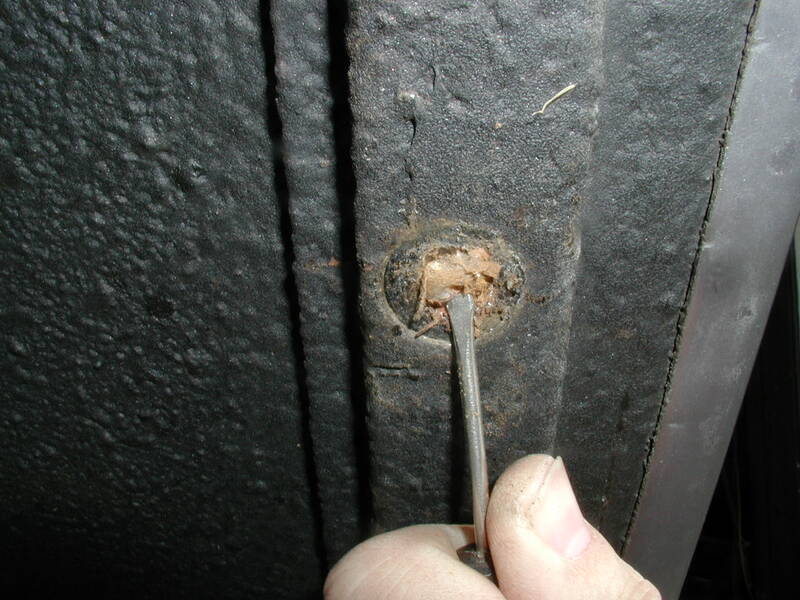 You can see Iso’s solution to the door wiring ducts – regular rubber hose which (of course) would break after prolonged use. 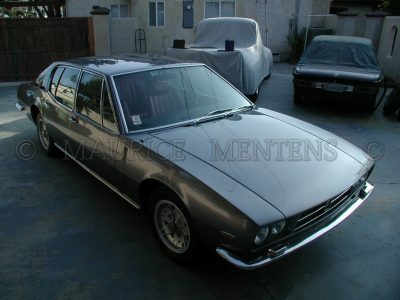 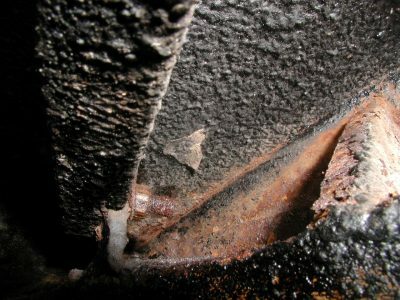 A few pictures of a pre-purchase inspection (PPI) that I did of an Iso Fidia back in 2002, in Van Nuys, CA. Hoping all my fellow dads had a great Father’s Day! 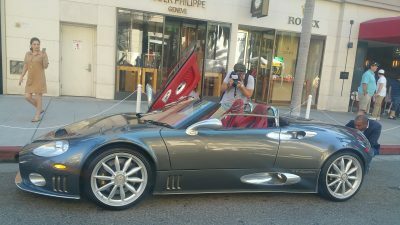 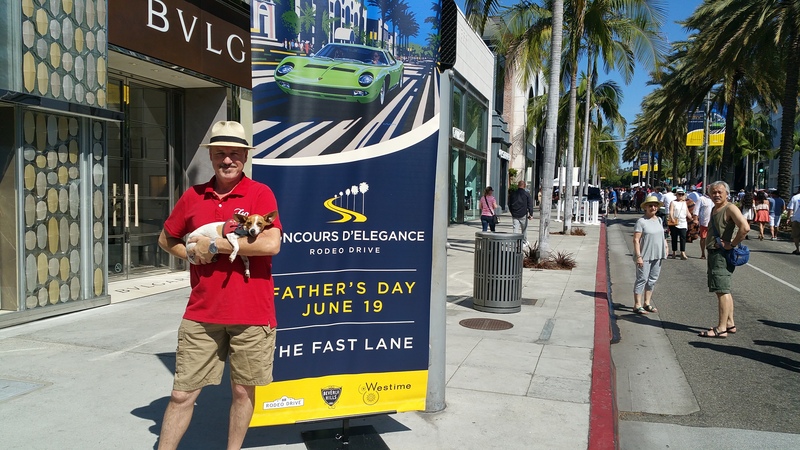 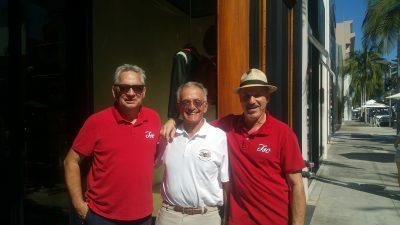 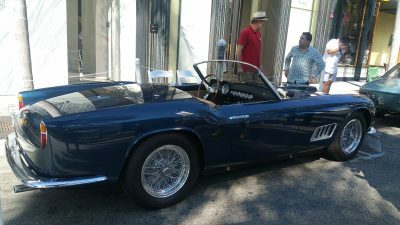 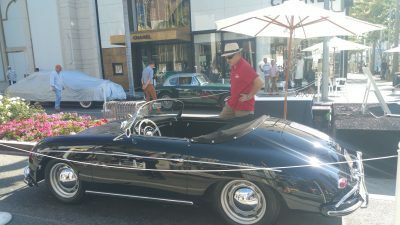 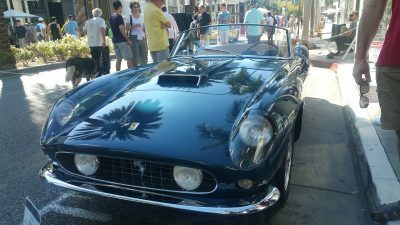 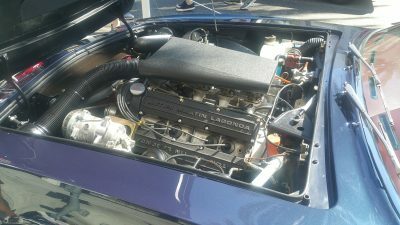 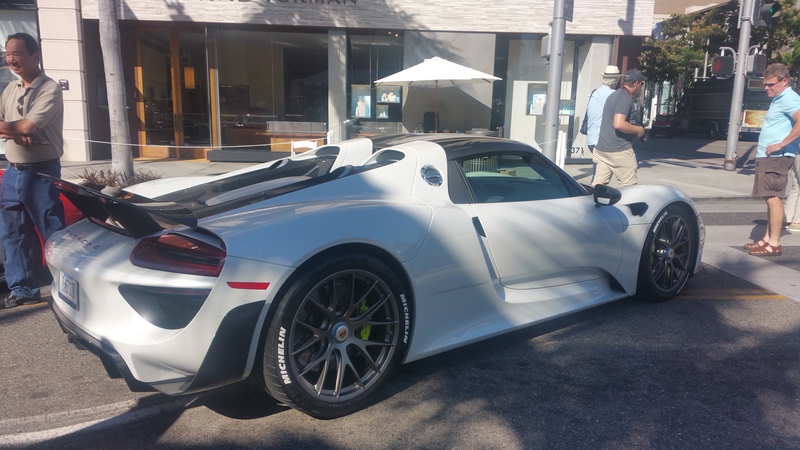 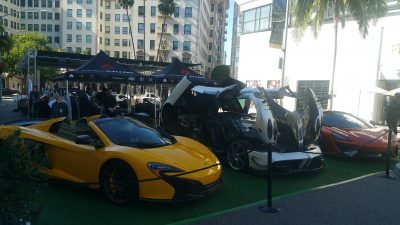 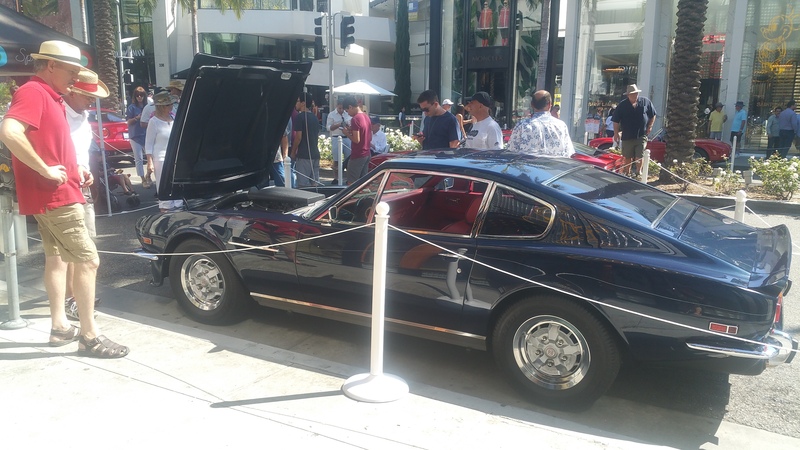 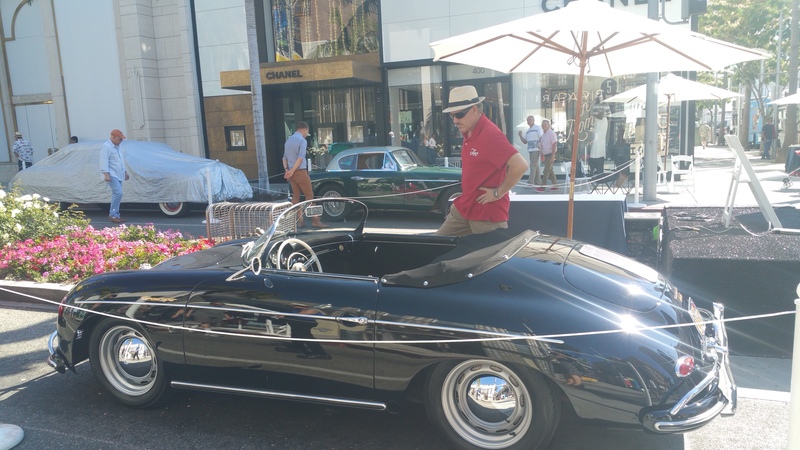 Here are some pictures from the Rodeo Drive Concours that was held today in Beverly Hills.